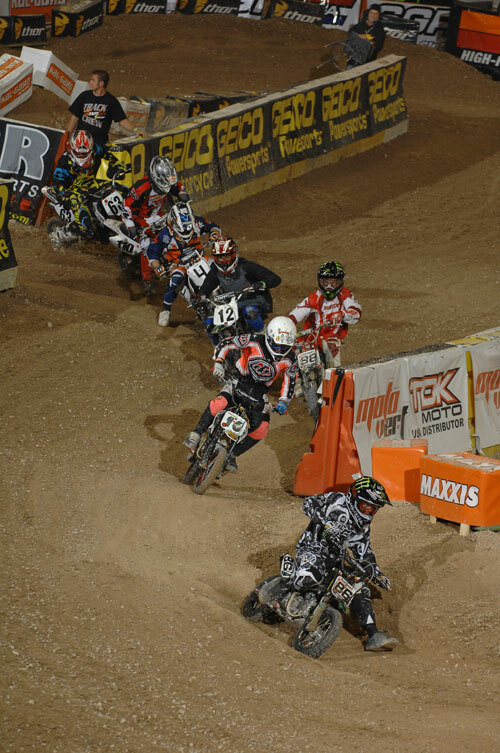 World’s Top Mini Bike Racer, Monster/BBR’s Derek Costella, Set To Defend His 10 & 12” MMSX Titles In Vegas Friday! ANAHEIM, Calif. (April 29, 2009) – The reigning king of mini bike racing, Monster Energy/BBR’s Derek Costella, is on his way to Vegas’ Orleans Arena to defend the world’s premier mini bike titles – 10” and 12” Expert – at this Friday’s (May 1st) Maxxis MiniMotoSX against such notable mini bike racing names as Browning, Beat, Abrigo, Blose, Weigand and, quite possibly, JLaw. A three-time consecutive 12” champ, the easy-going Costella, who qualified this year for a number of WSX Lites main events on the Monster Energy Supercross tour on his Carter Powersports/Monster/All Access/Fox Honda, is the sport of mini cycle racing’s marquee name these days. A motocrosser since age 12, the 25-year-old Costella figures he’s been riding minis for six years, racing MMSX for the first time in ‘05. On a bike cobbled together by a friend (Charlie Rennie), Costella managed to make the main event, but crashed (“Just couldn’t put it together in the race,” he said.). Costella’s hyper-fast lap times did, however, catch the eye of the industry. “BBR approached me and offered to build me a bike for the following MMSX (’06),” said Costella. “That year I got a 2nd and a 1st – beat McGrath.” Costella’s 2nd was in the 10” class, and his win over McGrath in the 12” class would begin a three-year reign of terror on the 12” bikes for Costella. 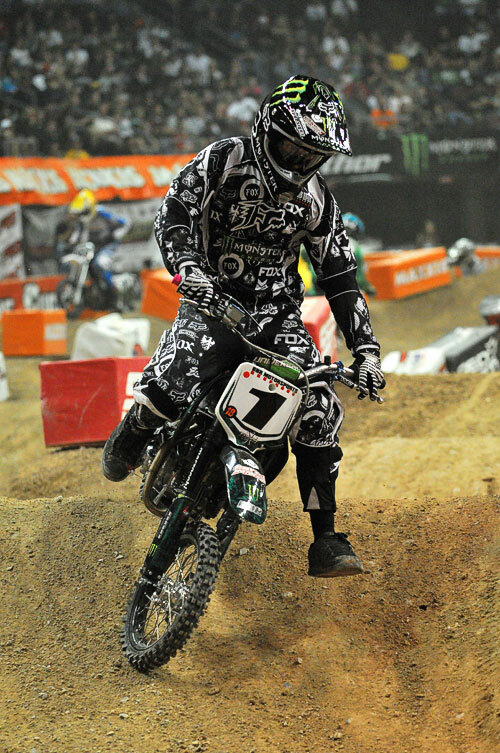 In 2007 Costella and McGrath teamed up on the newly-formed Monster Energy/BBR team and Costella successfully defended his 12” title, but faltered in the 10” class, getting 4th. The 2008 MMSX featured Costella getting the 50cc class monkey off his back, winning on the 10” rims for the first time in his career. “The main goal last year was to win the 10” championship – really wanted to win that,” said Costella. “When I went out there and did that I was so pumped, didn’t even really think much about the 12”, but ended up winning a championship in that one as well.” Note: Costella was the first racer in the history of MMSX to sweep both premier 10” & 12” Expert classes in one night. So with three-straight 12” titles, Costella’s ready to get back after it here on Friday at the Orleans as the most successful racer in MMSX history on the popular 12” bikes. And what makes him so good? For rules and race information visit www.EnduroCross.com or email endurocross@sourceinterlink.com.